How many of us work with clients over long periods of time, sometimes years, before they sell or buy a home with our services? How long do we "farm" an area with expensive mailers and with email, newsletters and more before we get a warm prospect? We could be creating future business in an easier way, and getting paid for it as well. Say the words "lease purchase" to many real estate professionals, and you'll see an immediate drop in their enthusiasm level. What they hear is "no commission now." That is mostly true, but there are some very good reasons for a real estate agent to help their buyers and sellers with a lease purchase if it meets their needs. The up-front non-refundable option payment to the owner/seller can be shared with the real estate agent. You get paid to set it up, and every dollar helps. You lock in a commission on the sale if the tenant exercises the option to purchase. You build credibility and loyalty with the seller, as you are helping them to potentially move a problem property. You may even, if legal in your state, be able to negotiate an upfront pre-commission payment that they can pay by increasing the option payment from the buyer. Sellers strapped for cash can move in a paying tenant without dumping the property or losing it to foreclosure. Again, you build loyalty with the owner. Your cash-poor buyers can stop looking and negotiate a future purchase on a home they love, living in it while they build down payment dollars. Buyers with credit problems can lock in their home of choice while they repair their credit. You make a loyal buyer friend if they go through to the actual exercise of their option and purchase of the property. If you work with investors, the lease purchase can be one tool in their box for a better return on investment. It's a better solution than losing a listing that just isn't selling. 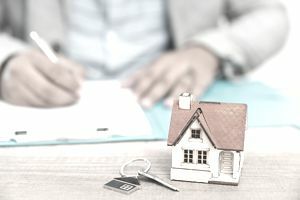 Obviously, if a home is listed with another agent, you may not be able to negotiate a lease purchase for your buyer, but it could be worth a try. Your buyer will appreciate the effort. On the listing side, you may want to discuss this option at the beginning. Your seller may not be too interested then, but they will remember the discussion months later when the property hasn't sold. In buyer markets, offering a property with "lease purchase possible" can bring an offer when nothing else does. There's a hidden cash infusion here as well. If you are working with a seller with a problem property and possibly your listing is about to expire, lease-purchase could be welcomed and double your commission. You go out and find a tenant-buyer to do this rent-to-own deal and help your seller to move on. You're now on both sides of the deal. If you structure it properly, you could get a higher commission when and if the tenant buyer exercises their option to buy. Sure, it pushes your major compensation out in time if it happens at all. But, it will be a welcome income bump when and if it does happen in the future. Plus, you have a buyer who will refer you to others. You can build a list of challenged buyers who would rent-to-own. When you can match them up with a seller with a problem property, you've made two happy customers for referrals. Think of it as an investment of your own. Now, you're not spending money to market for a prospect, and maybe someday a customer. You're getting paid a little up front to lock in a commission on the other end if a purchase results.